Come December and lots of wedding invitations will arrive in full swing. That is, if your calendar isn´t yet full of wedding schedules to be attended. 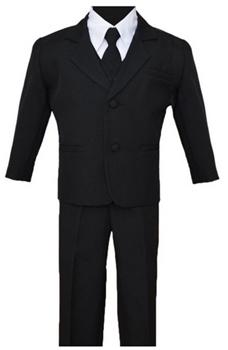 But wait, do you have a great set of baby suits for weddings for your little man already? 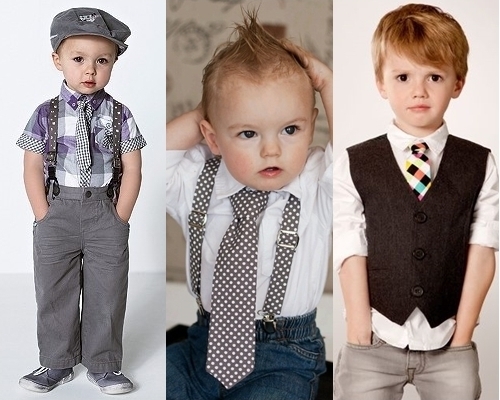 If you haven´t got a got-to suit for him, I compiled here seven of the best baby suits that would make his debut in the party circuit truly a fun experience. 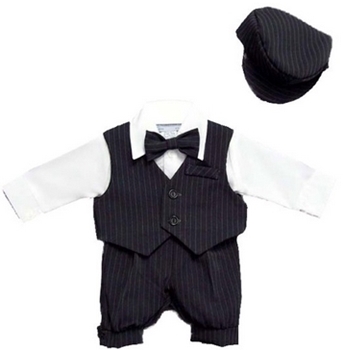 Very elegant and well-made is this shadow striped vest set for babies and infants from Nautica. It has a clean texture and wonderful silhouette. It ha s a great fitting so rest assured that it would look great on your baby boy. 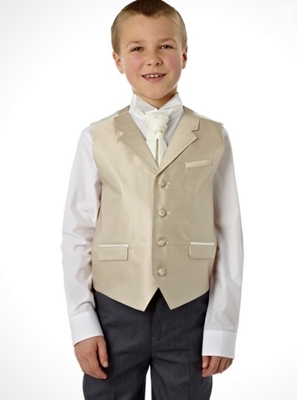 This baby suits for weddings received quite a number of positive feedback from the costumers. 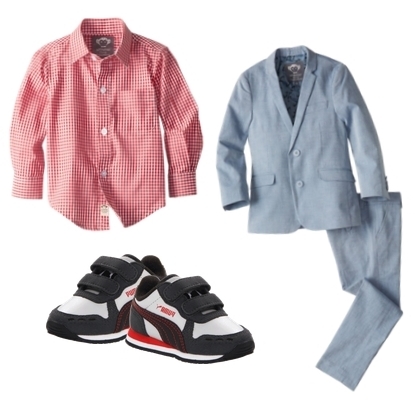 They all purchased it with the same goal, to have a great wedding outfit for their baby boy. 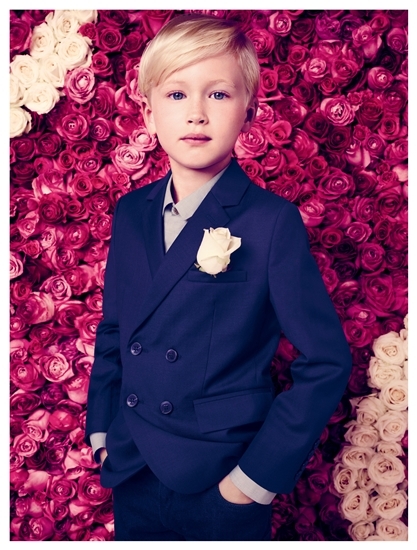 Turned out, the young man almost always steal the show from the groom because he´s just so cute wearing the suit. 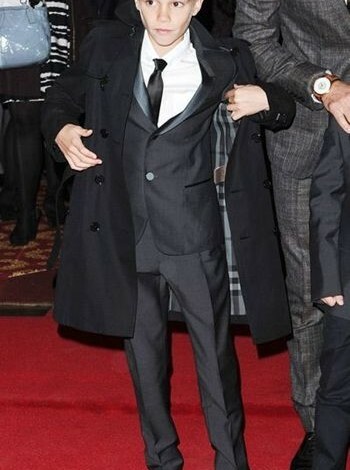 This boys suit with tie is another favorite among parents. 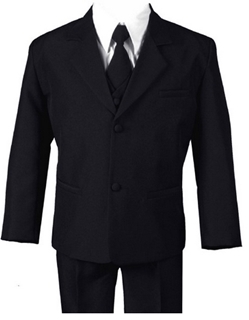 It´s single breasted and comes with a fully lined vest, dress pants, dress shirt, and an adjustable tie. 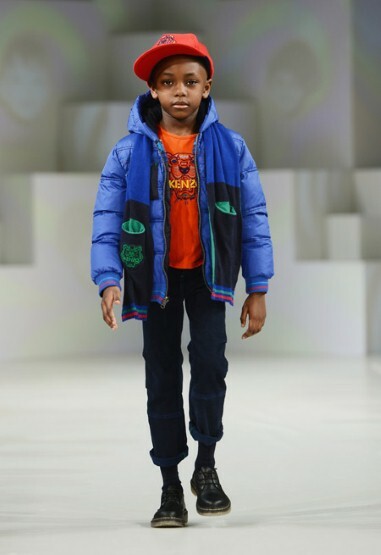 Because of its high quality in spite of it being very affordable, the little man is going to impress everyone at the party. This patterned tie jacket suit set from Nautica could be his first investment suit and for a good reason. It looks pricey in every angle and is very smart. 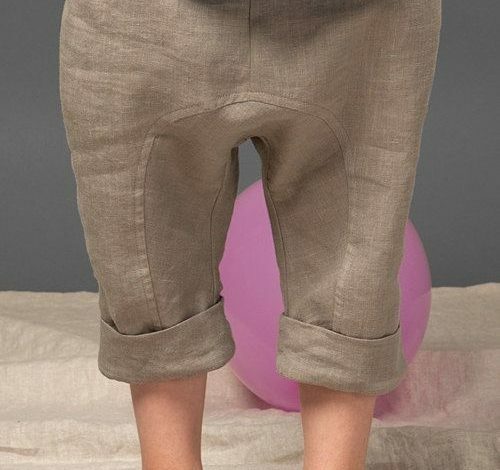 Not only does it look great, it´s also comfortable to wear for the tot. 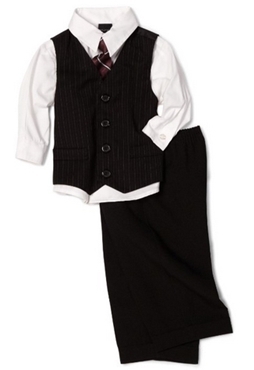 This is such a cute pin-striped knicker set for your baby boy to wear to a wedding party. It´s a complete set with bow and hat. 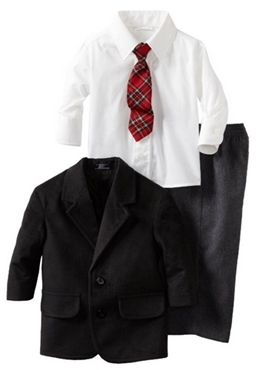 Rest asured that your little guy will look very adorable in this set. 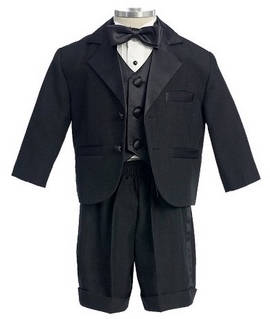 It´s a very cute tux with relatively good quality. But considering its affordable price, it like getting the most out of your money. 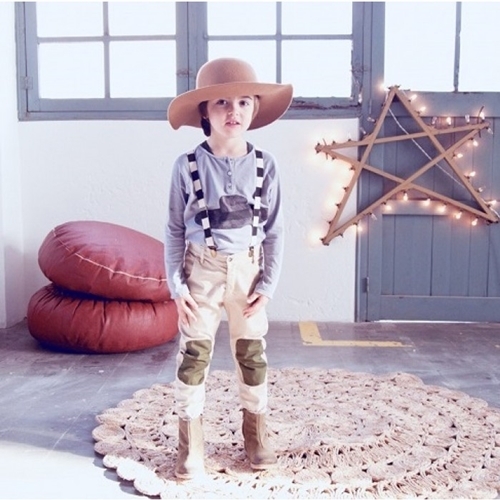 Be prepared to get many awwws and wows thrown to your little boy. 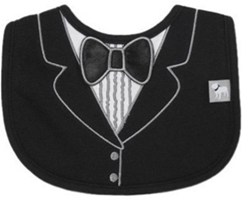 In case your baby suits don´t come with a vest, or in cases when you feel like swapping the default vest with something else, this tuxedo bib with 3D applique is a great option. It´s a cute bib with soft fabric and a lovely design that doesn’t look cheap at all.